Throughout my life I sought out direct experience of the sacred. In childhood I looked for magic through fairy tales and a busy imagination. As a teenager and well into my 30s I had a passion for poetry, which could bring a glow and shimmer to the everyday. Years of in-depth motherhood endlessly opened my heart, immersing me in a tangible reality that for some time eclipsed longings for hidden realms. There was a long-abiding and sometimes dormant interest in yoga over the years: the high school Kundalini class, the time I went with my mom to a yoga class at another mom’s house; the class at a local college in my late 30’s. Yet somehow it didn’t stick. What lit the fire of yoga in me was an unexpected, unasked for Kundalini awakening—sparked by a Reiki attunement I received from my sister in 1999, when I was 41. This changed my life. The powerful internal energy awakening was overwhelming, and drew me to yoga as if by magnetic force. Within a year I went on a five day silent Zen meditation and yoga retreat at a nearby abbey. Within another year I became certified to teach, wanting to bring to others what I had found to be so profound. In 2001, in my small Wisconsin town there were no yoga teachers, and it was rare to find a yoga studio anywhere but larger cities. The first classes I taught—above a coffee shop, in a large blue room with star-dotted walls and a disco ball—were packed. It seemed like people were hungry for yoga. Fairly soon I was teaching three classes a week. For the next five years I taught in my local community—mostly above that coffee house—but in all sorts of venues from schools to churches to a women’s correctional institute. 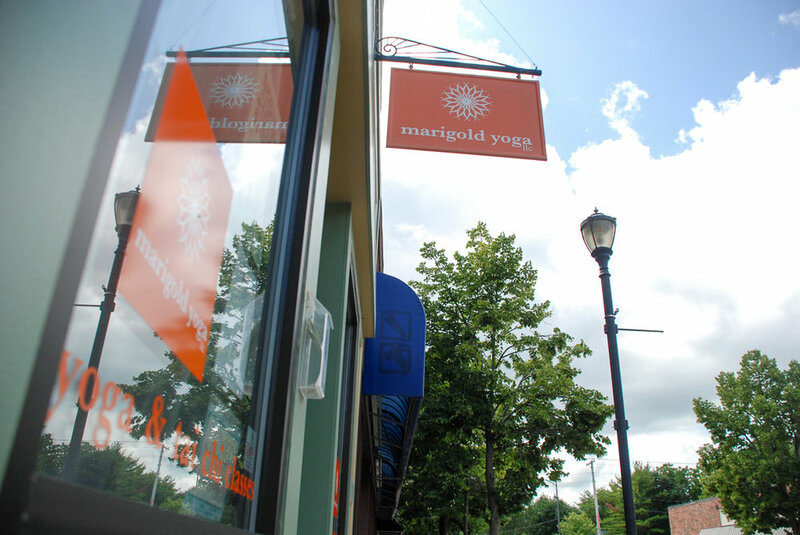 In 2006, hankering for my own space, I opened Marigold Yoga, in Ripon, Wisconsin, where I taught for nearly ten years. Over those years I had the joy of bringing yoga to countless people—many became long-time students. It was my privilege to learn from them, to get to know them, to witness their practices and love for yoga grow. I also had the wonderful opportunity to develop and lead three 200 hour yoga teacher training programs, and a 100 hour program for correctional institute staff. 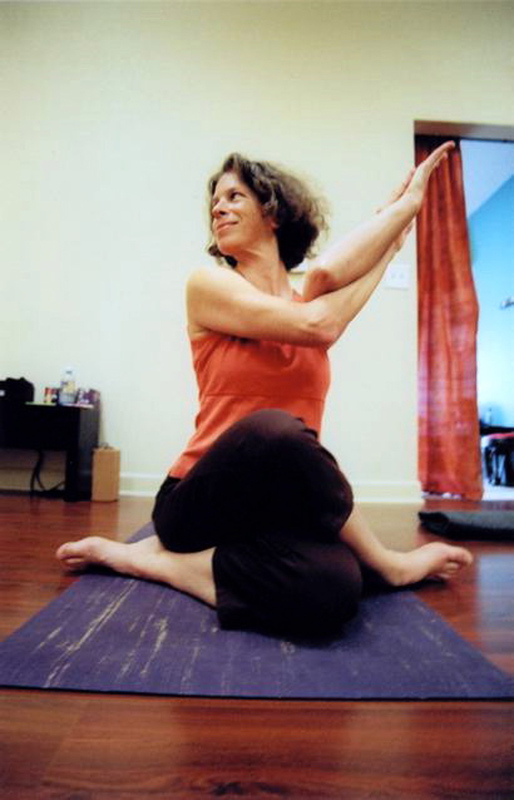 Like most yoga teachers I have sought out and studied with many teachers, and explored various traditions and styles. Kathleen Kelly-Hoffman, Michael Stone, and Zoe Mai have been the most influential. I have also been lucky to do substantial trainings or workshops with Judith Lasater, Sarah Powers, Paul Grilley, Jill Miller, and Surya Little. Emily Conrad’s Continuum movement has had a profound effect on me, and I am thankful that I was able to learn from her in person, over the course of 5 days. I was lucky to host Jules Mitchell at my studio, as one of our last events before closing in late 2016. Her cutting edge presentation on the biomechanics of movement have had strong impact on how and what I teach, especially in relation to the injuries I have sustained over the years. In the increasingly digital age, I have benefitted from online course and classes with Leslie Kaminoff, Amy Matthews, Katy Bowman, Kathryn Bruni-Young and Trina Altman, and although nothing beats direct contact, what I’ve learned from them is invaluable. Still, I treasure most the Sanskrit yoga sutra-based (Sanyama) distant lessons I have with my Sanskrit and meditation teacher Zoe Mai (who is also my Ashtanga teacher, when I’m not being an undisciplined, unorthodox, aka “bad” student). I study with her in person yearly at least. The profound vibrational quality of Sanskrit is perhaps what I’ve been seeking all along—a direct experience of the sacred. 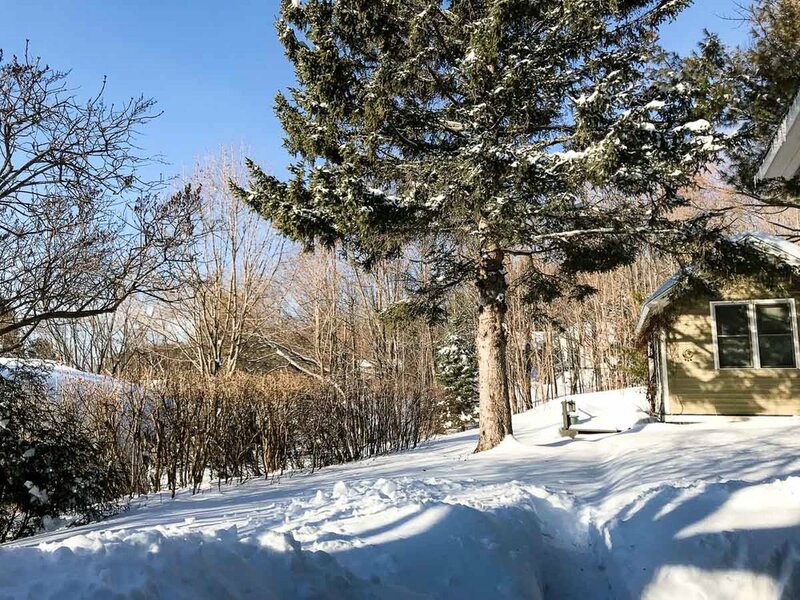 I sold my studio in 2016 to one of my longtime students, and moved several months later with my husband to far northern Wisconsin, along the shore of Lake Superior, where the raw and wild beauty of nature speaks directly of the power at the heart of the universe. It’s been wonderful to be the new kid on the block here, and to be able to teach within walking distance of where I live. Here I have returned to my roots in a sense—once again an independent contractor yoga teacher, without a studio, but with the wonderful opportunity to share the practice of yoga in several great locations, to teach and practice with seasoned practitioners and newcomers alike.